H2Grow : Harvest 2019 is Upon Us! Do you have yield mapping capabilities? Are you storing your data in a secure location? If your combine harvester is capable of yield mapping, do you use it? 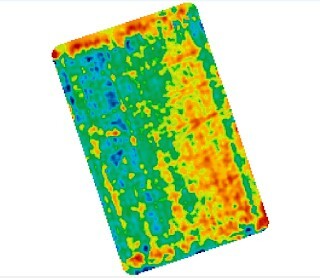 Yield map data is a powerful tool for making decisions on your farm. It is a record of how your crops reacted and performed under that season’s constraints. Constraints and variation may be apparent in your crops nutrient levels or application methods, or available water in the profile at critical times in the plant’s life cycle,and in most cases a combination of all the above! I’ve been to many agronomy seminars where they always reiterate that when you sow your crop it starts at its maximum yield potential and everything from that point on reduces that potential. So, your yield data is a map of how well the crop has performed under that season’s conditions and how much variability there is in the soil profile within a paddock. Many arable farmers have paid for the technology but aren’t able to harness the power of the information that it provides. Agri Optics NZ are here to help with this. One thing that isn’t stressed enough to growers with yield monitors is that they should capture the data regardless of whether they are able to use it at present or not. As having multiple years’ worth of data is far more useful than one year of data. The more years’ worth of data you have lessens the influence of a single seasons weather pattern or any out of the ordinary extremes. For example, in a wet year the lighter freer draining soils may be preferable for a higher yield and visa versa in a dry season. This process of compiling several years of data is called normalisation. Data is put into a relative scale and is compared across the years. Once data is normalised then we can identify common zones or production areas. These zones can be marked for future management decisions. Processing or “cleaning” the data is the key to successfully utilising the captured data. Raw yield points have a large amount of errors and “noise” that can significantly impact on the results. With these noisy bits removed and tidied up the data becomes more representative of the paddock. Some of the factors that impact on the data accuracy are cut width, flow delay and travel distance errors. Yield data can also be useful for identifying problems during the actual harvest of the crop. In one example a grower saw the results of him harvesting grass seed in the hottest part of the day. He was able to spot the mistake as recorded yield dropped in the swaths that he completed in the hottest temperatures. Ultimately the yield information informed him that the decision had cost him. Card check and back-up – confirm data is being logged by importing it into your mapping software or sending it to your Precision Ag specialist once you start for the season...not at the end of this season! Backup the data as a raw format throughout the harvest season also. If you collect the data as accurately as possible in the first place, then post-processing of the data to make it a useful resource is much simpler! Yield data is the final measure of a seasons work. Yield data allows for insights into different management practices and the old adage “what gets measured gets managed” comes to mind.